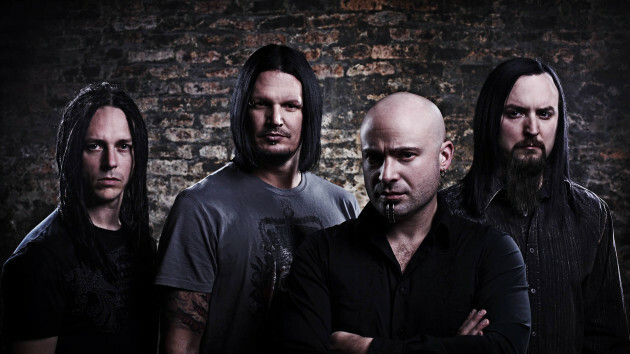 The fellas of Disturbed might finally be smiling when they make it to Somerset Amphitheater next May for Northern Invasion. A popular spot for metal shows in its prior incarnation as Float-Rite Park, Somerset Amphitheater will get an extra day of the hard stuff next year when Northern Invasion expands to a two-day festival May 14-15. Organizers announced the new format Monday along with a 2016 lineup that includes many veteran acts who’ve previously played the farmland venue in Somerset, Wis. (an hour from the Twin Cities). AMong the names: Korn, Rob Zombie, Disturbed, Seether, Lamb of God, P.O.D. 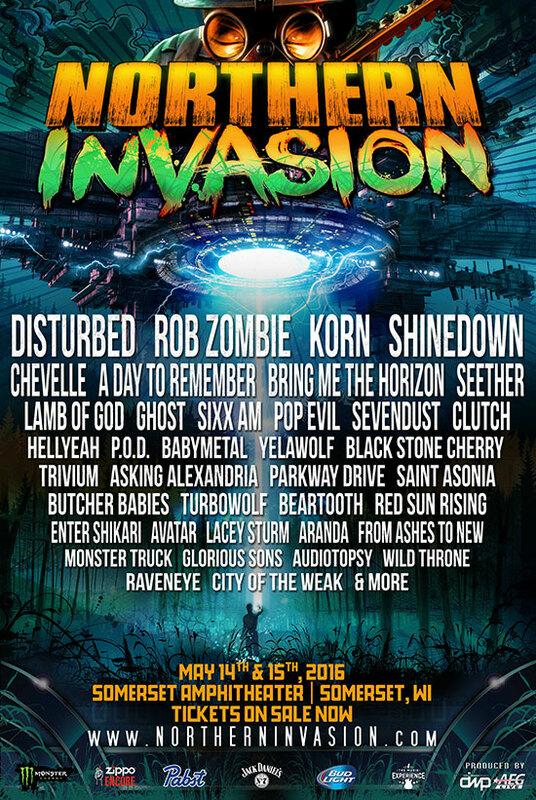 and Sevendust, plus newer metal stars such as Shinedown, A Day to Remember, Ghost and Bring Me the Horizon. Two-day passes go on sale Tuesday at 10 a.m. for $89.50, or $259 for a four-pack, via NorthernInvasion.com. VIP camping packages will also be available Tuesday starting at $200 for two people. Last year’s Slipknot-led inaugural installment of Northern Invasion sold out with 25,000 attendees. If next year's festival draws that many each day, it would far surpass the Basilica Block Party and Rock the Garden as our area's biggest two-day music festival. The event was brought to Somerset Amphitheater as part of a chain of hard-rock festivals promoted throughout the country with AEG Live as World’s Loudest Month, a brand name that also includes the Rocklahoma fest and Ohio’s Rock on the Range. It was hardly a new concept locally, though: Northern Invasion strongly harks back to the Ozzfests and X Fests that were as commonplace at Float-Rite Park as inner tubes and sunburns in the ‘90s and early-‘00s.